This topic is highly controversial. You are always told that your value as a freelancer should be respected and this is absolutely correct. You should never be paid less than you are worth and you do have to know how to negotiate rates that are suitable based on what you can deliver. However, if we take a look at highly successful freelancers, we clearly notice that these people always do more than what they agreed to. Do the work at low prices because there is a higher possibility of being hired and you will get the good ratings. Carefully negotiate rates and deliver exactly that since time is money. Both approaches seemed weird for me. I eventually went on to be just me and take it on a project by project basis. I do believe this was a little mistake but this is off-topic. Around 3 years ago I had a good friend that wanted to get into freelancing. I talked to her and tried to share all the knowledge I got till then. What was different between us was that she had a strong public relations background while my background was more marketing oriented. This is really important since at that specific point in time the fight between the two was going strong. My friend took a clear PR approach. She took all the information I offered and decided to do some things differently. This was a really good choice since she managed to get some very good contracts for similar things to what I was doing but at a rate that was basically double. All happened in only a couple of months. What she was doing was talking with clients and not making any sacrifice on rice. She knew exactly how much she was worth and how much she wanted to be paid. However, besides this, she always went the extra mile. She did a little more. I clearly remember a market study that she did for a client. That client also had a highly experienced marketing specialist (30 years plus experience) do the same work. I had the opportunity of looking at both studies and the one did by her was MUCH BETTER. Why? Because she did a little more than what she agreed to because it was necessary to offer a real answer for the client, which is exactly what she was hired to do in the first place. Besides this great work, I quickly noticed she always did something more, something that was not included in the initial deal. For instance, she once added a list of suggestions about what the client could do in order to promote the product he wanted to launch and was paying the market research for. This actually led to my friend being asked to do more work for the same project. What Does “A Little More Work” Mean? This is the real question that should be asked. The idea is that you can always do a little more. If you do social media management, you can add a few more shares when an important market event happens. When you have to write a 500 words article but the topic is more complex than what you initially thought, you can write more, as long as you do not do this every single time. You basically need to work on the project you agreed to. Then, as you are close to ending, ask yourself: “is there something that is missing?” This helps you to identify those little extra things that you can do to improve the work you do. In the social media management example, let’s say you agreed to 5 Facebook posts per week. During your research, when you look for something to share on the managed page, you see that big industry influencers talk about an event that just took place. You decide that the event is really important for your client so you add a few extra posts to your schedule list. You do not lose much time as you were already doing research when you found out what was happening. However, you do add value to the client and you show that you are truly professional. Improving the relationship with your client – You obviously need to say that you did more work and clearly explain why you did it. You do not ask for more money as it was not included in the initial contract but the client will appreciate it. Having a good working relationship with your client is very important in freelancing. You might get more work – That little more you did might be very important for the project and if the client sees that, you will be first in line to be hired for what is extra. Higher chance of getting paid more for the same job – In freelancing, just like with regular jobs, you can get pay raises. That little extra work shows you are a team player, you care about the project and you should be paid more. Great references – How often do you see a reference with “went above and beyond” in it when reading freelancer reviews or reference letters? Even if you stop working with the client as no more work is available, that little extra will be appreciated. The client will provide references if you ask (in most cases at least) and your review might not end up being a general one like “the freelancer did a good job”. There is no real disadvantage IF YOU DO THIS RIGHT. This is where most freelancers most likely fail. When you often do extra work, the client expects it every single time. After you do not deliver extra for free it is normal for problems to appear. Once again, the important thing here is communication. You want to do the little extra work when it adds real value to the project and you should highlight that you did so. The idea is pretty simple: you want to let the client know that you did this because it improves everything and that he can just consider it as being a free bonus. You always want to have a great working environment and a big part of this is how you work with your client. Offering a little extra work is something you can easily do in order to get an edge but obviously, this is not for everyone. Whenever it feels fake, it will not do great. 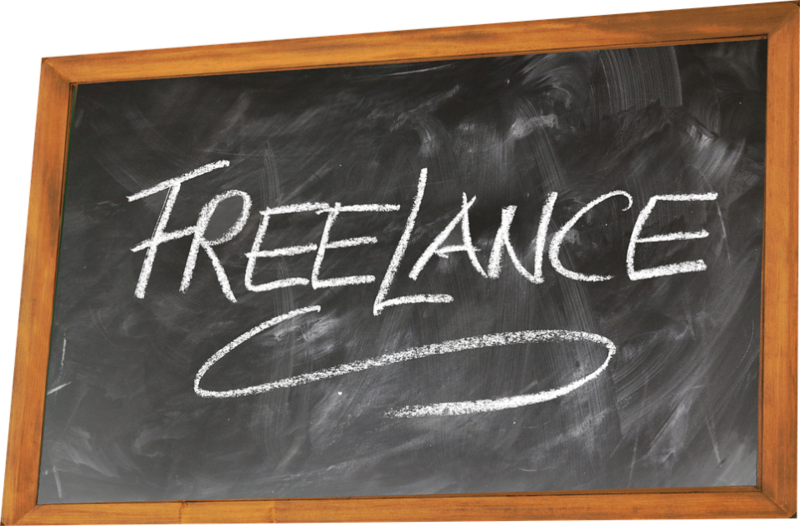 Are you a freelancer? What do you think about what I wrote above? I would love to hear your opinion.